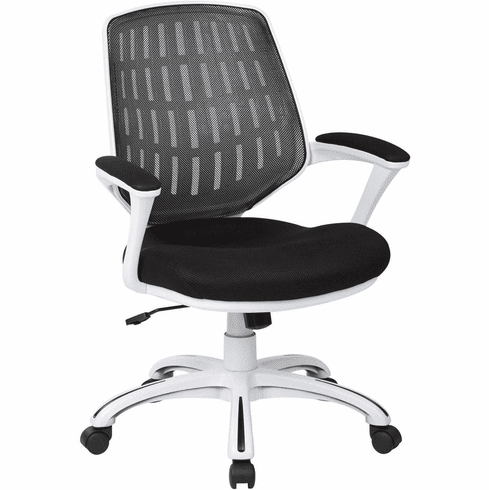 The Calvin Office Arm Chair redefines the traditional office chair. Providing you with the 24 hour ergonomic comfort you need. Perfect for doing homework, checking your email or conversing with your colleagues, this chair is constructed with a ventilated slat-style backrest outfitted with a breathable mesh that wicks away moisture.